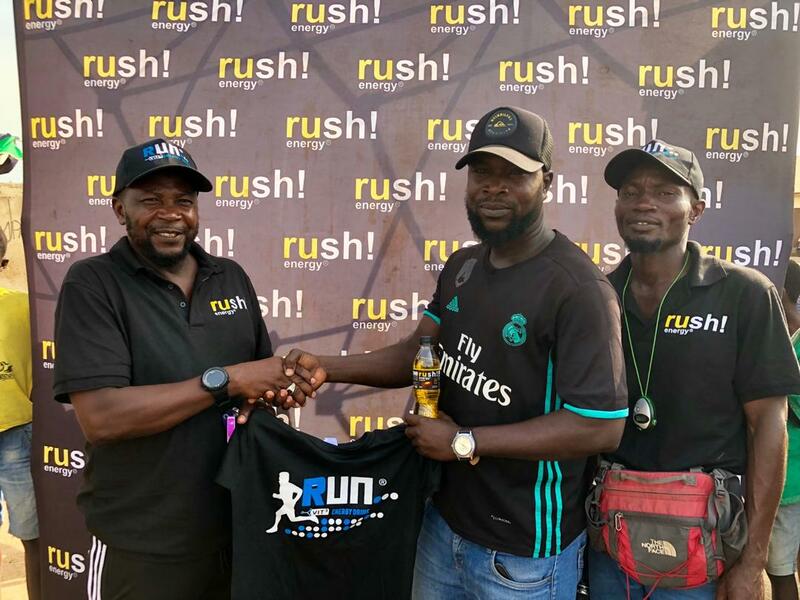 The Rush and Run Energy Drink sponsored community championship organized to help unearth talents in some communities in the Greater Accra Region. 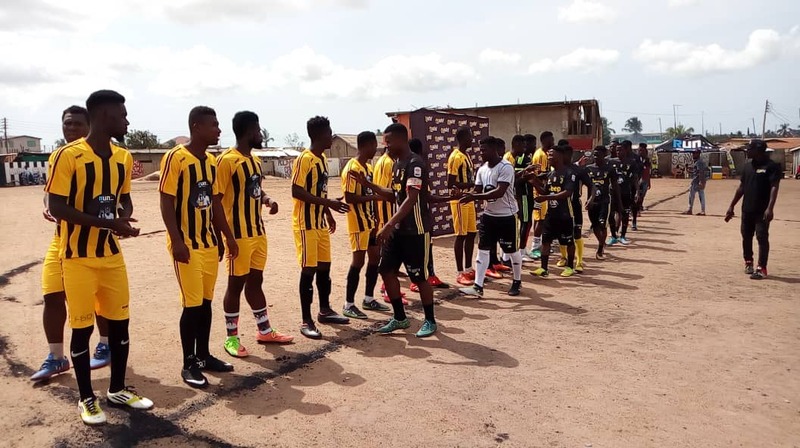 Moved to another community over the weekend to continue the tour. 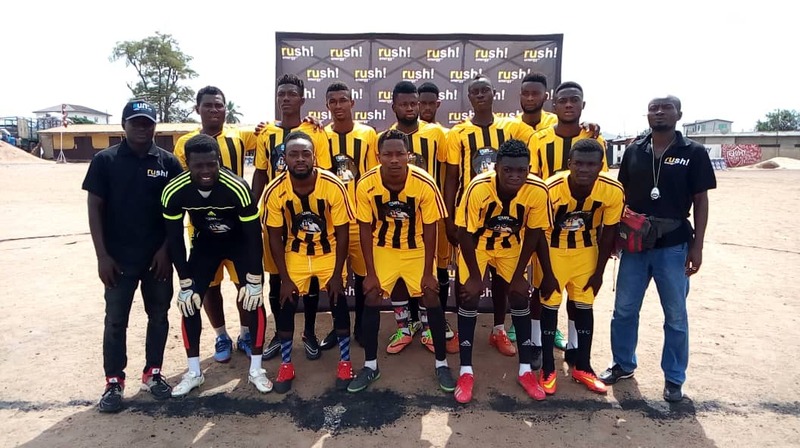 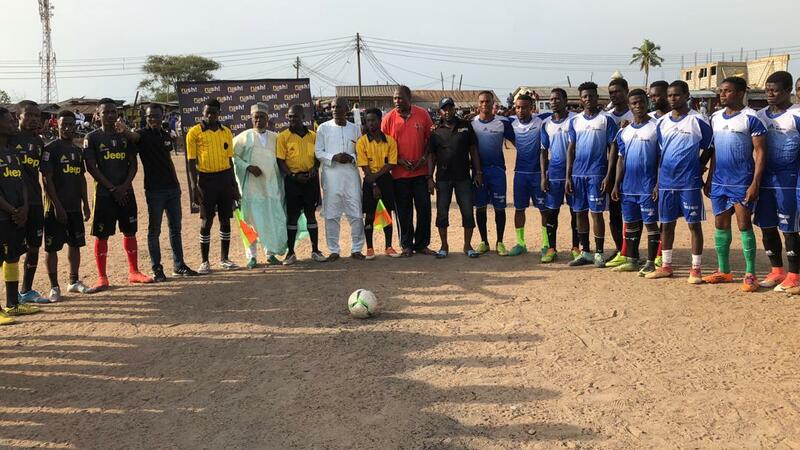 The tournament dubbed, Rush and Run Top 4 Community Championship, kick started in Medie on March 30 with Midland City FC emerging as the winners in that community. The community championship is scheduled to make two more stops in Fadama and Madina. 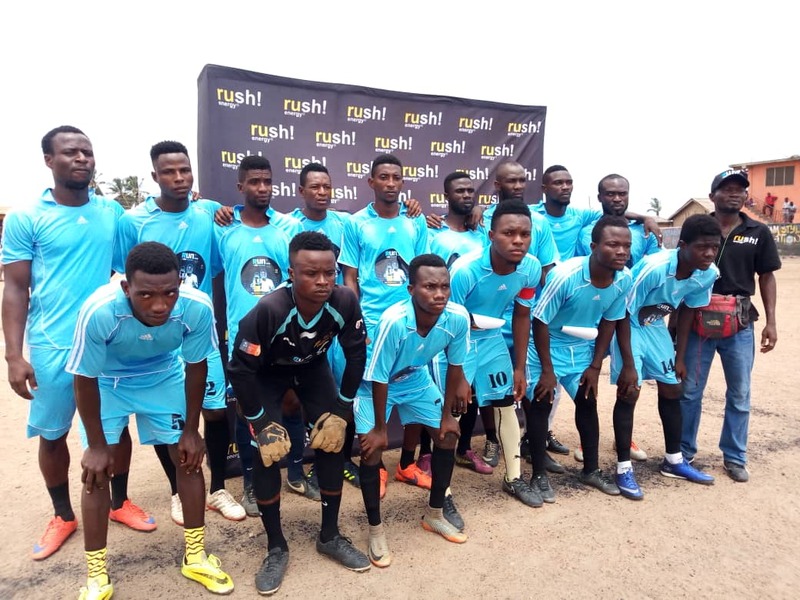 The Kasoa edition, which happened on April 6, also saw eight communities in a race to the top to grab the ultimate prize, sponsored by the Twellium Company. 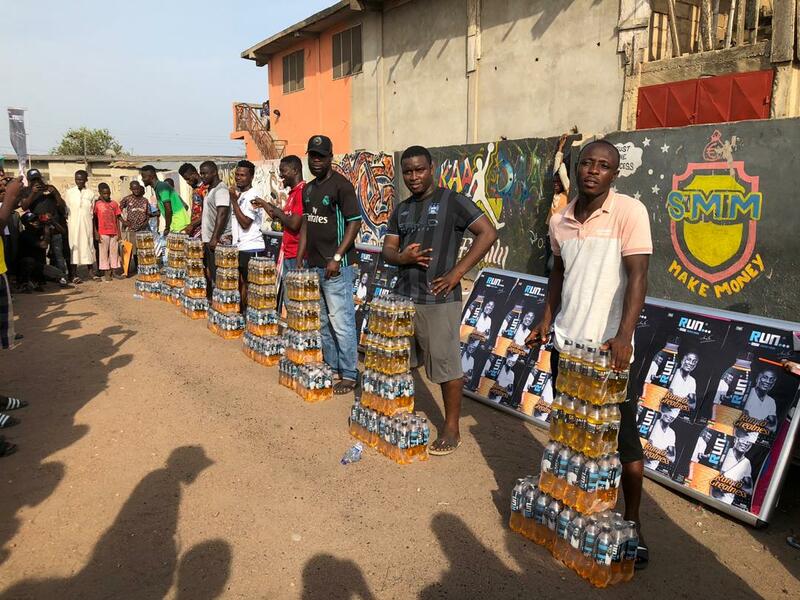 The prizes included Ghana’s leading three energy drink brands; Rush, Run and Go On Energy Drink, Verna Mineral Water as well as other products proudly produced in Ghana, by the Twellium Industrial Company. 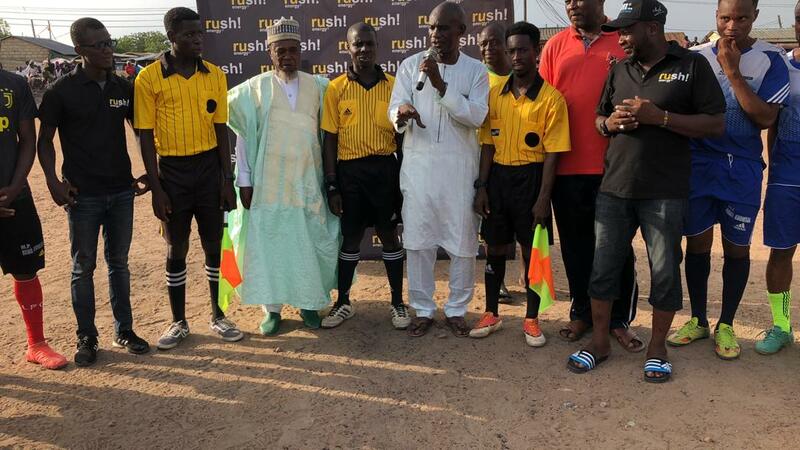 With the support of their fans and well-wishers chanting and cheering the various teams to victory. 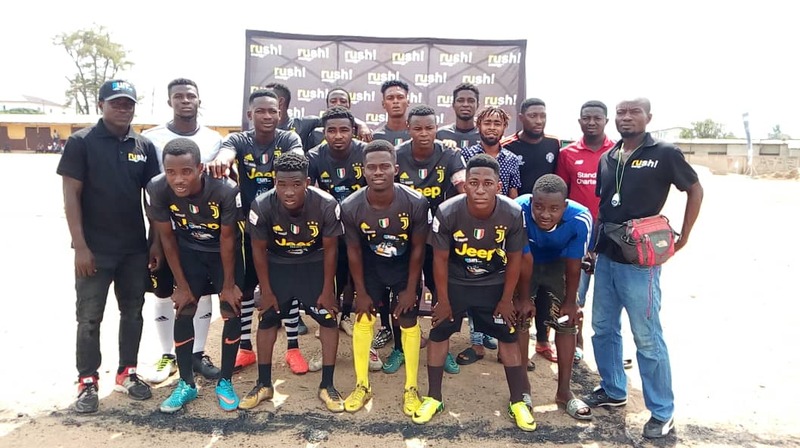 The trophy went to New Town FC, after a fiercely competitive tournament among eight teams. 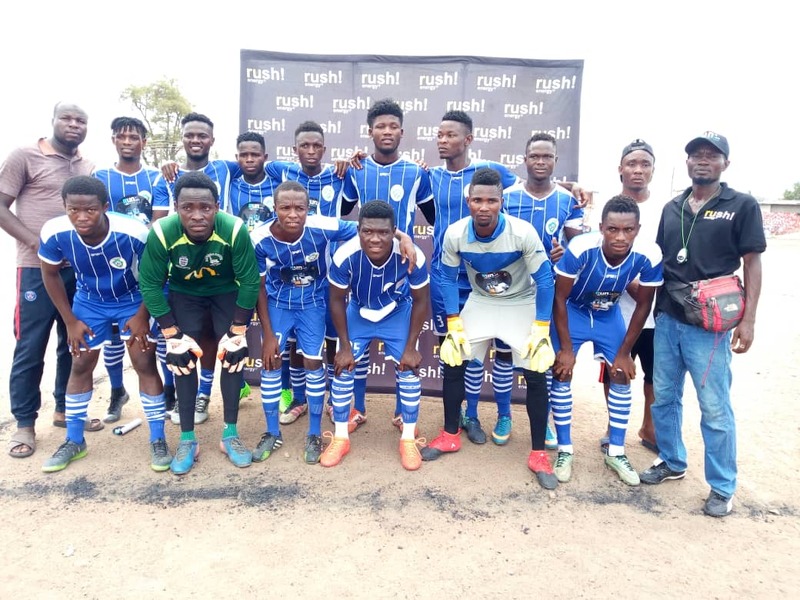 In our photo report below, we present to you all that happened last week Saturday which saw New Town FC emerging as winners of the tournament in that community.